If you get into trouble when you’re out on the water and you need help fast, what’s the quickest way to reach a first-responder? Calling the U. S. Coast Guard, of course. But there are some things you may want to know before you reach for your radio: how to contact the Coast Guard’s emergency watchstanders, what to tell them when they answer, and what’s likely to happen after that. Here’s a primer on what to do—and what not to do—in seeking help. Call as soon as you realize that you’re in trouble—before you get into an even more serious emergency situation. 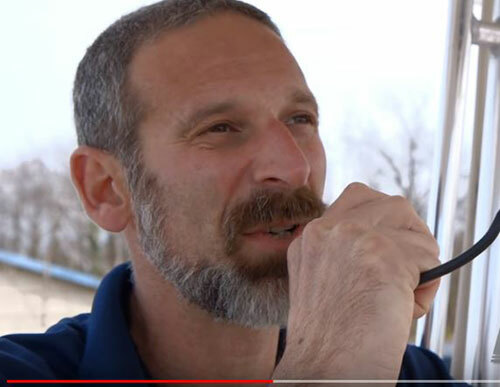 If the problem worsens enough to threaten the stability of the vessel or the life or health of anyone onboard, the watchstanders will already know what it’s about and can respond more rapidly. Use a VHF-FM marine radio—not a cellphone—to contact the Coast Guard. 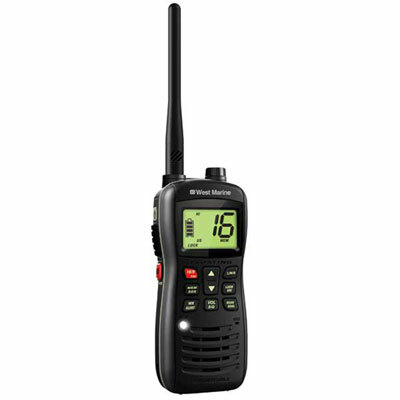 Coast Guard regulations require that all vessels equipped with a VHF-FM marine radio monitor channel 16 when underway. By calling on your marine radio, you’ll reach a wider swath of potential rescuers, even nearby boaters who may be able to reach you more quickly. Make sure you call on channel 16, not on channel 22, 68, or any other channel on which you happen to have landed. The Coast Guard monitors channel 16 around the clock. Don’t use a CB (citizens’ band) radio. The Coast Guard doesn’t monitor CBs, and these days only truckers use them; call on a CB radio, and you’ll get an 18-wheeler. Decide what kind of call you need to make. A “general request for help” can cover a wide variety of boating dilemmas, from running aground or having an accident to becoming lost, stranded, or disoriented. A “genuine distress call” involves possible loss of life: fire, man overboard, taking on water, capsizing, sinking, or experiencing a serious medical emergency. If you have a DSC-equipped radio, push the emergency button. Digital Selective Calling (DSC) is an automatic alarm system that sends the Coast Guard a distress signal message containing your position and basic information about your boat. If you do have a DSC radio, be sure to read the user manual right now so that you understand how your model works. Important: The DSC transmission won’t include your current position unless your radio has an integral GPS receiver or is connected to a working GPS receiver. And for your DSC gear to work properly, you’ll need to have obtained a Maritime Mobile Service Identity (MMSI) number from BoatU.S., SeaTow, or the U.S. Power Squadrons. 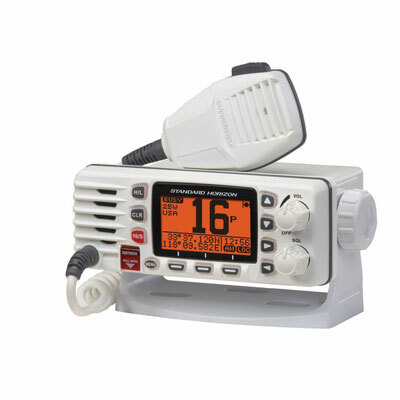 If you don’t have DSC, call the Coast Guard on your radio using channel 16. Be sure channel 16 is clear—with no one else talking on it—before you press the “transmit” key on your microphone. If you try to talk when someone else is transmitting, you very likely will prevent both yourself and the party already using the radio from getting through. When the Coast Guard responds, be prepared to provide them the following information immediately so that if you lose radio communication later, they’ll already have what they need to act. 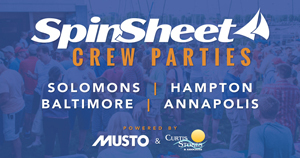 For a form that you can fill in, clip, and post in your boat, pick up a copy of the March 2018 issue of SpinSheet and turn to page 38. The name of your boat (for example, “sailing vessel Mary Lou”). Your location. Be sure to provide both a geographic description, such as “half a mile east of Greenbury Point,” and a GPS-generated latitude and longitude. The geographic description isn’t as precise a GPS position, but watchstanders say it helps them find you more rapidly and guards against possible mistakes in reading your latitude and longitude. A description of your boat. What kind of boat is it? How long? What color(s)? Distinguishing features (such as a forward-positioned wheelhouse)? How many persons you have onboard. Specify the number of adults and children. Include yourself in the total. The nature of your problem. Fire? Taking on water? Medical emergency? Mechanical problems? Lost or disoriented? Out of fuel? Be sure you tell the Coast Guard everything. If you really have a Mayday situation, stay tuned to channel 16. The Coast Guard will handle everything on that single channel. For non-emergency help, the watchstander may ask you to switch to channel 22, the Coast Guard’s working channel for carrying on informal conversations that aren’t about life-threatening problems. Important: if you hear a Mayday call on channel 16 and you are not in danger, do not transmit on 16 while the Coast Guard and the boat-in-distress are communicating or you may interfere with the emergency communications. When one party talks on a channel, it blocks out all other conversation on that channel. The Coast Guard may ask you to provide other information about your boat or your crewmembers and guests: Are there any children onboard? Does anyone need medical attention? Where is your boat registered? What is its registration (or Coast Guard documentation) number? Do you have towing-assistance insurance? The Coast Guard will send out a rescue boat (or, sometimes, a helicopter) in response to any Mayday call, or in special cases where your boat has a dangerous mechanical problem, where someone onboard has a serious medical problem, where the weather is worsening rapidly, or when it’s getting dark. For non-emergency help, pick up your radio microphone, make sure your transceiver is on and tuned to channel 16, and say: “Coast Guard, Coast Guard, Coast Guard, this is [repeat name of your vessel three times], on channel 16. Over.” The watchstander will answer and ask you what the problem is. In such cases, Coast Guard watchstanders will offer to assist you in getting help by calling a friend or relative or a towing-assistance company or by putting out a Marine Assistance Request Broadcast (MARB) to all boaters in the area asking them to be on the lookout for your vessel and volunteer to help you out. If you’re not wearing a lifejacket, put one on immediately and have everyone else on your boat don one, too. First-responder crews will insist on that and will expect you to be wearing lifejackets when they arrive. No exceptions. When a rescue vessel arrives, follow the orders given by Coast Guard crews. USCG personnel are law-enforcement officers as well as first-responders. Remember, depending on where you are and what the seas are like, it can take quite some time for a Coast Guard response boat to get to where you are. 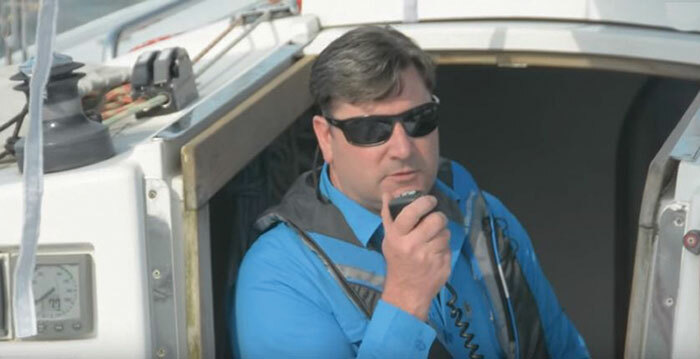 There are three categories of radio calls to use for broadcasting boating emergencies, based on the severity of your problem. In each case, the initial call is broadcast on channel 16. PAN-PAN. This is an “urgency” signal, the next priority down from a Mayday call. In this case it means you’ve encountered an urgent situation in which the safety of a vessel or person is in jeopardy. Pan-pan is pronounced “PAHN-PAHN”—after the French expression panne, which means urgency. Examples of a Pan-Pan signal include the loss of a person overboard (but only when help is needed), loss of steering or power in a shipping lane, or repeating an urgent storm warning from an authorized shore station. SÉCURITÉ. This is a “safety signal,” the lowest priority of emergency call. This one has a lower priority than Mayday or Pan-Pan messages, but it has higher priority than other radio traffic. It’s used to transmit safety-related messages, such as notice of heavy debris in a waterway or a boat that has lost power in a shipping channel. Sécurité is pronounced “say-cure-ee-TAY”—after the French word sécurité, which means “safety.” Make the initial call on channel 16 and then shift to a working channel. The decision on which type of call to make is in the hands of the boat’s skipper. Do not Mayday unless your boat is in serious distress.